Expect to have fun! Expect to meet some cool people! and; Expect to be inspired! We are serious about having fun, being innovative, creative and ensuring we find the very best employees for the participants we support. If you are shortlisted for an interview with us, regardless of the position, we aim to get to know you in a way that allows you to show us your best. That could include a pirate hat, a jenga game, coffee, cake or a pizza, but always a bunch of meaningful conversations. 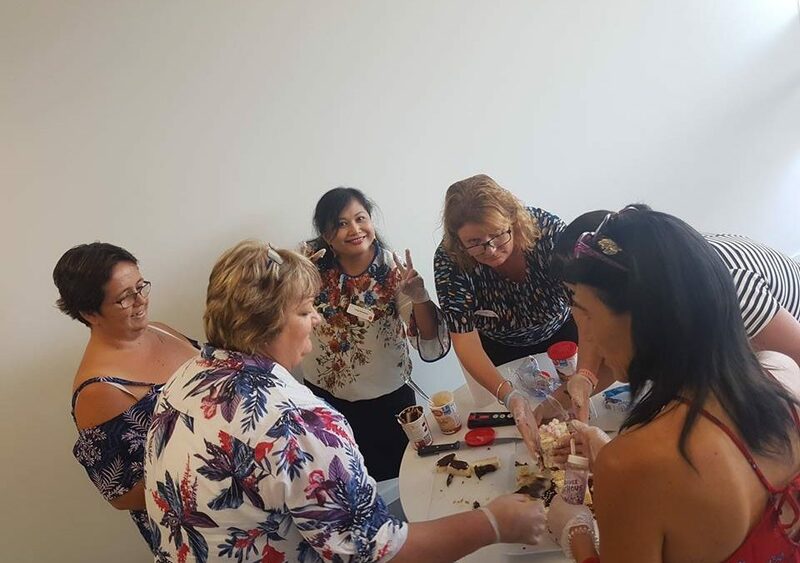 We recently interviewed 24 potential new employees, during a 3 hour activity in our Hervey Bay office. The morning started with a few words from the boss, Evan. Who gave a brief introduction to what we do, but more importantly he set the scene for the day by talking about the wonderful working culture and organisational values that makes Life Choice such a wonderful place to work. Believing in community inclusion, respect and valuing of people with a disability is fundamental to every employee at Life Choice. We have a workforce as diverse as the participants we support, but all who share the same personal values as the organisation; ethical, competent and compassionate. Employees of Life Choice are inspired to be the best version of themselves, and this begins as early as the recruitment interview. Once the brief formalities were done, potential new employees were divided into small groups and then spent the rest of the morning rotating between activities facilitated by members of the Life Choice Leadership Group, members of the Life Choice Participant Advisory Committee and other Life Choice staff. The activities varied, but were all designed to allow candidates to be themselves and showcase their personality. The morning is as much a social occasion as it is an employment selection process. But the outcomes speak for themselves. Over the last 18 months of staff recruitment we have employed 51 new staff, of which 90% are still employed and part of our team.